Facebook Inc (FB: Nasdaq) is continuing the expansion of its headquarters in Menlo Park, California in spite its disappointing stocks performance since its debut in the second quarter of 2012. According to reports gathered from Bloomberg and ibtimes.com, Facebook has acquired the expertise of prominent architect Frank Gehry. Mr. Gehry said in an interview with Bloomberg Television that the so-called Facebook West will rise at the property formerly owned by Oracle Corp. and Sun Microsystems. The American architect is known for his designs that changed the character of the Walt Disney Concert Hall in Los Angeles, California and the Guggenheim in Bilbao, Spain, Manhattan’s No. 8 at Spruce Street. Mr. Gehry told Bloomberg that this time the Facebook West will be his planned tribute to Dwight Eisenhower and inspired by the social connectivity trend promoted by the company. He noted, however, that there would not be any futuristic look and shimmering railings and metals in sight but a rooftop filled with trees and grass. Some looping and connecting paths for pedestrians and skateboarders are planned around the premises. 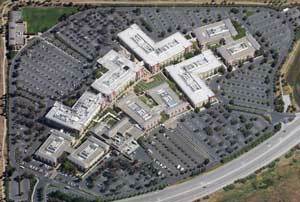 The expansion of the Facebook campus will begin in early 2013. The actual amount of the company's allocated expenditure for the project has not been disclosed. Will Facebook be able to justify the expected expenditure touted to be in millions to its shareholders?